Love casts out all fear. Whenever we are afraid to continue our journey because of the different circumstances that pull us down and shaken our faith let us not panic. Put on the armor of love into our lives. We are loved by the One who is above us, merciful, and compassionate, so do not let our hearts be tremble. These are the words of encouragement that I always entertain into my mind whenever I am being overcast by fear. Fear really hinders me to see love as a protection and a consolation for my shortcomings and brokenness in life. It’s really hard to move on in life when there’s fear. To be true in your self is something burdensome when fear overwhelms you. From this so called “horrifying conquerors” of life, I realized the significant value of love. Love may be demanding for some, but it is always the best remedy for a fearful heart. Love recognizes the beauty of courage and uplifts the brokenness inside of our hearts. When love seems too hard to find and reach, I cannot but not to give up finding and reaching it because I believe love saves. When there’s love, there’s nothing to be feared of. Everything will be alright when we consider love as the sole reason of our daily struggles in life. Why let our hearts be troubled when love is greater than fear? Hence, life is full of goodness and glad tidings when love is the cause of our perseverance and courage here on earth. Why is it so hard to love? As I based it to my experiences, there are times that when you express your love to somebody in a form of concern, appreciation, recognition, and sincerity some will just ignore it and others will criticize you or put you down. Upon reflecting this something popped-up into my mind; when you do your best to be sincere in loving it’s true that you cannot really please everybody. It’s really a great pain on our part that as we exert our effort in loving what we will receive is not peace but piss. So, we become tired and not enthusiastic anymore in loving our neighbors as the same as we love ourselves. It’s a great ache into our hearts that people do not recognize the love that we bring to them. We cannot but burst into tears when we realize that loving does not grant us merits. Why isn’t so easy to love somebody? Why loving so demanding? Why do we need to sacrifice our expectation for the sake of true love? These are the questions that continuously bothering me whenever I do my very best to love others sincerely. As I reflect upon this phenomenon called “the severe side of loving”, I cannot but accept the fact that loving is not a dilly-dally occurrence, but a great commitment and responsibility for each and every one of us. The rule of loving states that it doesn’t matter when you feel rejected or in pain in loving, what matter most is before we were being formed in the womb of our mothers God already loved us tenderly and compassionately. But, why rejection and pain is a more dominant feeling than the feeling of being loved by God? Human as we are, we cannot but be affected by the reality called pain and rejection. Sometimes, when pain and rejection strikes our fragility and brokenness inside our hearts it’s really hard to recognize that we are being loved by God. It’s so pathetic and so sophisticated that God’s love seems too invisible into our lives when we cannot bear the immensity of pain and rejection into our lives anymore. Despite the fact that pain and rejection are something inevitable in loving, is there still consolation beside these two realities? Yes Indeed. 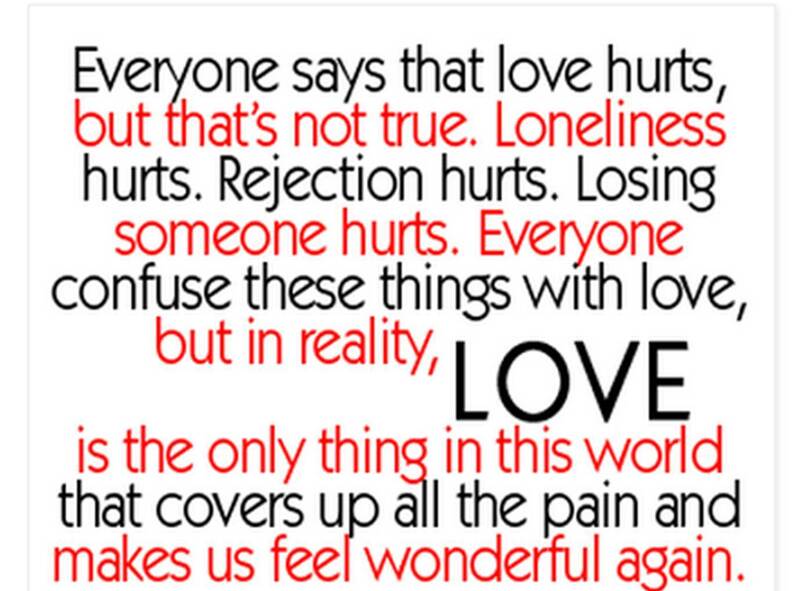 In spite of the pangs of pain and rejection, I do still believe that there’s still hope in loving. Without these two realities we cannot recognize and be aware of the significance of loving our neighbors by giving our whole selves to them. Indeed, loving takes a lot of endurance and perseverance. This confirms the fact that engaging ourselves in the realm called loving is not a one-day affair. It’s a lifetime process and struggle that we need really to consider as we journey towards true happiness. From this I realized that I should not stop loving for it is a means to receive the consolation to see the face of God despite the fact that we cannot really love totally and sincerely without pain and rejection. Just like us, Christ too experienced what it means to love truly amidst pain and rejection. So, we cannot but love…love…love, and this is the only ticket for us to recognize Him as LOVE. Today, I am in the mode of celebration. It is not only that I am celebrating the victory of Manny Pacquiao who defended once again his boxing title and proved to the world that he is the real king of boxing, but it is because of Jesus which the Gospel for today presents t us His kingship in a different way. What kind of kingship that the Gospel presents to us today? As I reflect upon the Gospel for today, what struck me most is the icon of the Good Shepherd that is tending and protecting his sheep. 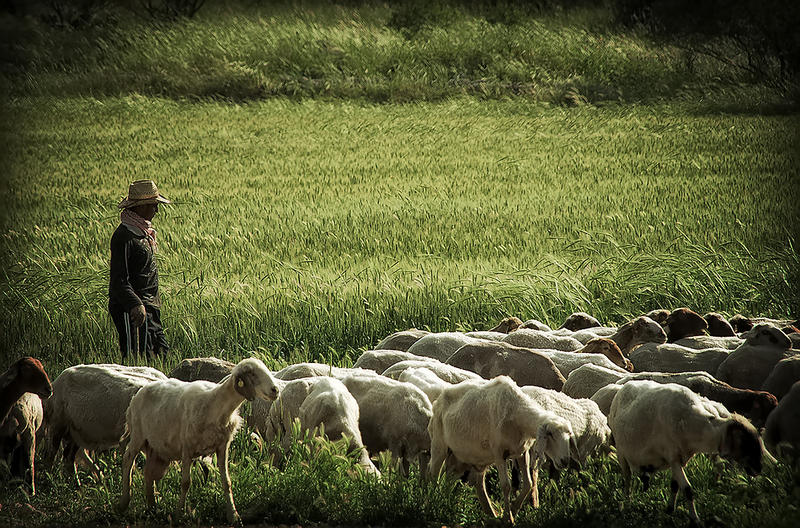 Why shepherding is the image of kingship for Jesus? For Jesus, kingship is not all about honor, fame, glory, and wealth, but it is all about service with compassion, true charity, and humility. “Whatever you did for one of the least brothers of mine, you did for me,” and this is what true kingship means for Jesus. To be a king means to be the “servant of all”, i.e. the readiness and willingness to serve the needs of the least ones. 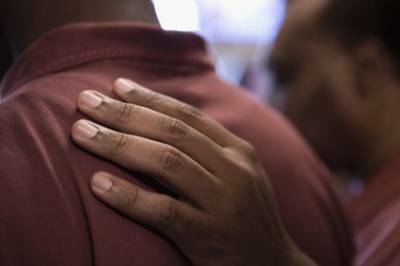 It is also part of being sensitive to the needs of those who are longing for love and mercy. The letter of Paul to the Philippians clearly manifested an example on how Jesus showed the word kingship to us: “Jesus did not deem equality to God which something to be grasp at. Rather, He emptied himself and took the form of a slave to be in the likeness of men”. This manifestation comes from the letter of Paul to the Philippians conveyed to us the message that the kingship of Jesus is not something to be compared with the world’s definition about it. Rather, it is a challenge and an invitation for all of us that speaking for greatness in life is not all about power-grabbing, but it is all about humbling and committing ourselves to God’s invitation that all of us must cater the needs of the least ones of our day to day living which also our brothers and sisters in faith. To be a king is not all about power and authority, but it is all about charity and compassion. Lastly, a king that Jesus portrayed to us is not about siting on a throne but a king who wants to serve the flock of sheep as a shepherd. It’s never too late when we start all over again. Life is full of probabilities to improve ourselves starting from the basic. There’s nothing wrong when we will going to repeat what we have started before. It’s not about cowardice that we start all over again; it’s about humility and being true to ourselves that sometimes we fall short on our determination to achieve a better and productive life, so we need really to go back from the start. My experience as a blogger is full of starting all over again. I cannot deny the fact that I am prone with exhaustions and fatigues especially when I am not anymore enthusiastic and consistent in blogging. It’s really hard to start all over again. It’s tiring and demanding. It is also time and energy consuming. 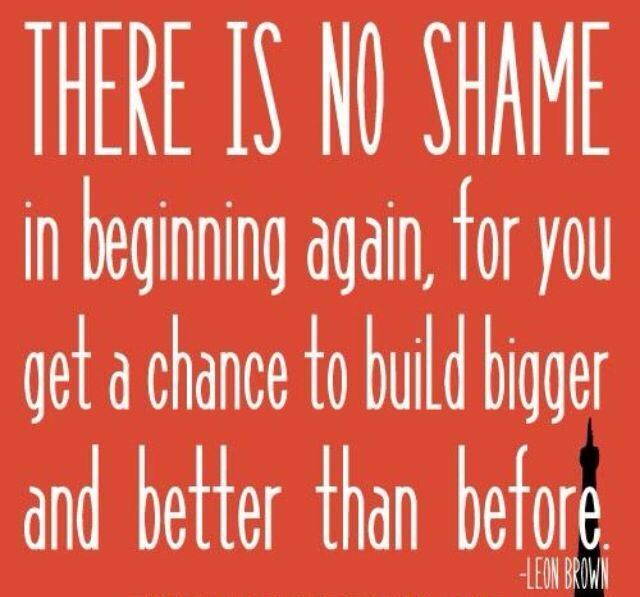 But, when I take the risk to go back from the beginning, it refreshed me to do blogging again. To go back from the beginning opened my mind to welcome new insights and ideas which became a motivational factor for my blogs to be more consistent, coherent, sincere, encouraging, and person-oriented. With this experience I found out a lesson which is so very important as a blogger and as a human person; that life cannot be measured by how many achievements and successes that I gained, it’s on how many times that I humble myself in every beginnings that I encounter as I move on. Deep inside my heart, I cannot but go back to every instance in my life that I consider to start all over again. It’s very humbling indeed to remember that day that really reveals what it means not to give up despite the onslaught of discouragement and distress. It’s really difficult to start all over again, but that’s life. In every downfall we experienced in life we cannot but go back from the basic and to be inspired once again by it in order for us to stand once again from our downfalls and continue to move on. Indeed, life is really full of probabilities if and only if we consider into our lives that it’s really important to go back from the beginning. Every beginning is our first inspiration to move on and I believe this is the key for success. 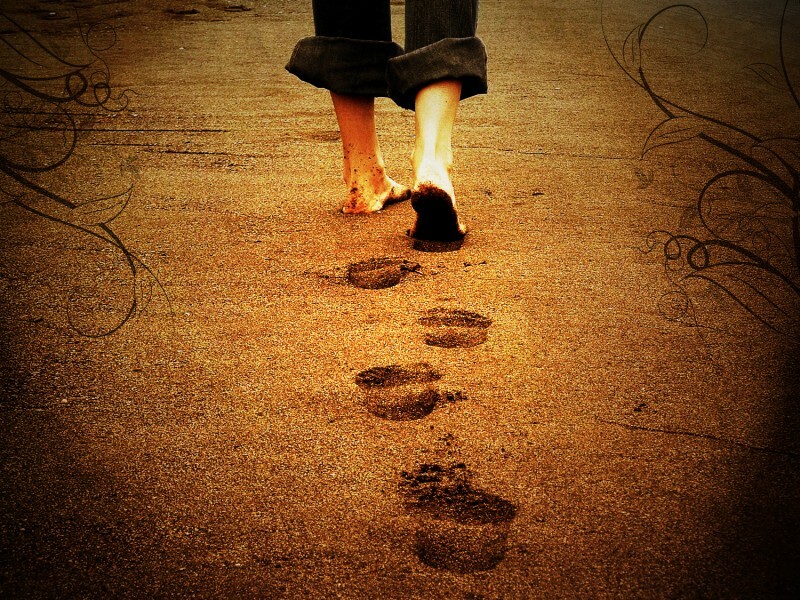 It really takes one single step in order that we may be able to reach his/her dreams and aspirations in life. To dream and to aspire for something and to make it come true is easy to say than do. As I reflect upon this reality one question popped-up into my mind; why do we never get tired of dreaming, hoping, and aspiring even though sometimes we failed to achieve our dreams in life? In my search for answers this is what I realized; we never get tired of dreaming, hoping, and aspiring for something good because we are adequately considered seekers for happiness and for a better life. We are born seekers. We have also the tendency to long for something that will make us successful and complete. So, we persevere, we work hard, and we do our very best to make our lives. Hence, our life’s journey will never be fruitful and fulfilling unless we take one step at a time. The path of success and contentment will never become a reality into our lives unless we hold on to the wisdom of a single step. Thus, the old maxim is right in echoing to our consciousness this one of the lesson in life about success; “The journey of a thousand miles begins with a single step.” Despite the fact that success is sometimes demanding, the wisdom of a single step will always remind us that we should never lose our sight in hoping and chasing our dreams and aspirations in life. Our life will never be the same like before if and only if we take a single step in order for us to move on. Life will always be brighter every day when we always take one step at a time. Chasing success is a road less travel. Despite this reality one thing that I’ve learned and realized as I reflected upon the wisdom of a single step is not to give up the journey. A single step may be insignificant on the first look, but every single step, if combined, is our assurance to move on in living our dreams that we long for. Optimism is one of the most essential elements in the life of a person. We cannot attain inner peace and serenity unless we allow ourselves to be swayed by it. But I have just noticed why only few people abide on its effects. Today, it’s obvious that complexities in our world are evident and real. It’s hard to determine nowadays some aspects that will make our lives better and livelier. Who is going to be alright and contended in life if you are bombarded with so many complicating principles, insights, and ideas of the world which declare about the quest for a better life but in the end it does not suffice you to be contended, happy, and at peace with yourself and with your life. Also, the saddest part of being overturned by the complicating principles, insights, and ideas of this world is that you will end up incomplete and pessimistic. Indeed, even though life today is full of pessimisms, disapprovals, and viciousness there’s still light that will still make our existence evocative cheerfully and positively. Though only few recognize it, it does not expire. It exists continuously and outshines brightly so as to be more convincing for those who are living in darkness. However, it will only be more convincing if and only if we show and express it by means of sharing. Hence, optimism is gift that is meant to be shared to those who long for it. It is also a good reminder for those who are indifferent and unaware of it. At the end of this day two questions bothered my mind as I reflected upon the Gospel for today; am I grateful for the gifts and opportunities given me as a follower of the Lord? Do I use my talents, whatever they are, to live out the commandment of love? As I read upon the Gospel thoroughly the message is so obvious, i.e. 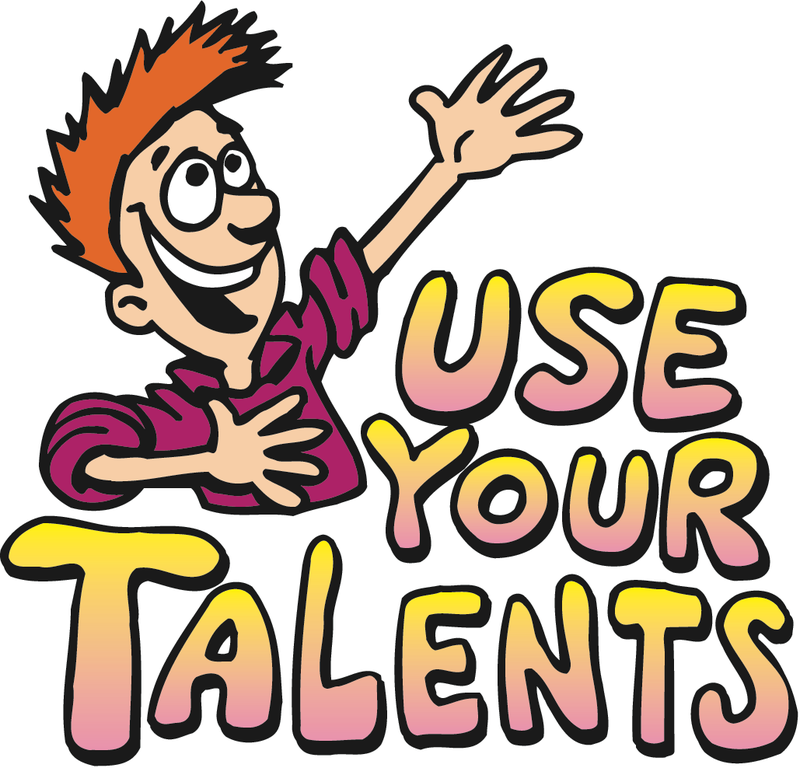 we must use wisely and productively the talents or opportunities that the Lord has given and granted to us. But, as I reexamined it and let it speaks unto my consciousness what struck me most is the intensity of its message. The Gospel for today may look ordinary and palpable for me, but when I let it move my heart there’s something new that I discover within it especially when it speaks about perseverance of one’s talent. This is what I learned from the Gospel; it’s not on the quantity of our talents that we may be able to become fruitful, productive, and responsible in life rather, it is on how we persevere in nurturing our talents even if they are just insignificant and eye-catching in front of others for the benefit of our life and of others. In the Gospel, God assures us that whenever we used our talents productively He will surely say these words of consolation and appreciation to us; “Well done, my good and faithful servant. Since you were faithful in small matters, I will give you great responsibilities. Come; share your master’s joy.” It sounds uplifting and encouraging right! So, the invitation of the Gospel for me today is not to give up persevering, showing, and giving the talents that I have for the betterment of my life and other’s life. With this, it’s confirmable that when you give your whole self to others and nourish it productively it ripples joy. Going back to the two questions that bothered my mind as I reflected upon the Gospel, I could say that I am doing my best to be grateful with the talents that I have even though it’s just only few and to live out the commandment of love through my talents. I admit that there are also times that I fall short in this invitation of the Lord because of selfishness and self-interest. But though there are these things that keep on hindering and disturbing my attention with the Lord’s invitation, I really still persevere though others may find it silly. Just like I am doing right now; I blog because I would like to help, guide, inspire, and motivate people through my life and faith stories. At first, I found blogging a boring stuff because I am not really gaining something and writing is not my passion. But suddenly I realized that I have the talent in writing and God granted this gift to me so that I may be able to move the hearts of the people who long for Him and I may be able also to enlighten their minds that He is Love. Realizing these things made me more encouraged to continue persevering in this talent and opportunity that God has given to me. To be consistent with this kind of job is not so easy because it takes time, effort, and serious reflections. But, it’s a worthwhile job because in my simple stories and reflections that I’ve shared I am proud to say that I already inspired and moved hearts and this what the Gospel for today is all about-disseminating the goodness of the Lord through our talents even if it’s minute and average in the eyes of the world; it’s already valuable and noteworthy in the eyes of God if and only if it’s persevered.